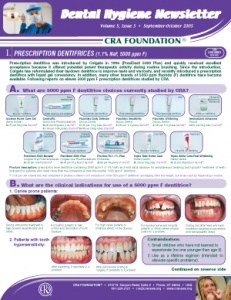 • What are 5000 ppm F dentifrice choices currently studied by CRA? 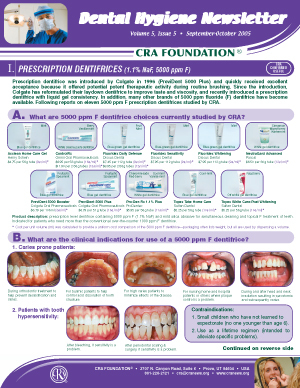 • What are the clinical indications for use of a 5000 ppm F dentifrice? • How should I direct my patients to use these products? • How do the various brands compare?